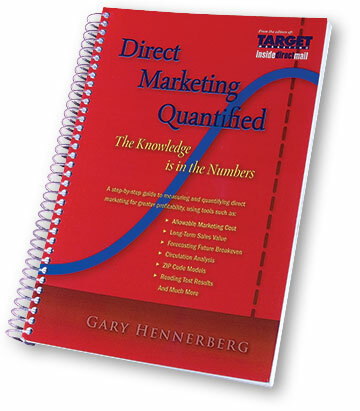 Target Marketing Group has just released a new e-book titled "Secrets of Direct Marketing Testing." I'm proud to say that I'm the author of one of its chapters called "Reading Test Results." In that article, I have attempted to make it easy for anyone with basic math skills to run a statistically valid test. This is "must have" information for anyone who is testing new creative packages, offers, or lists.